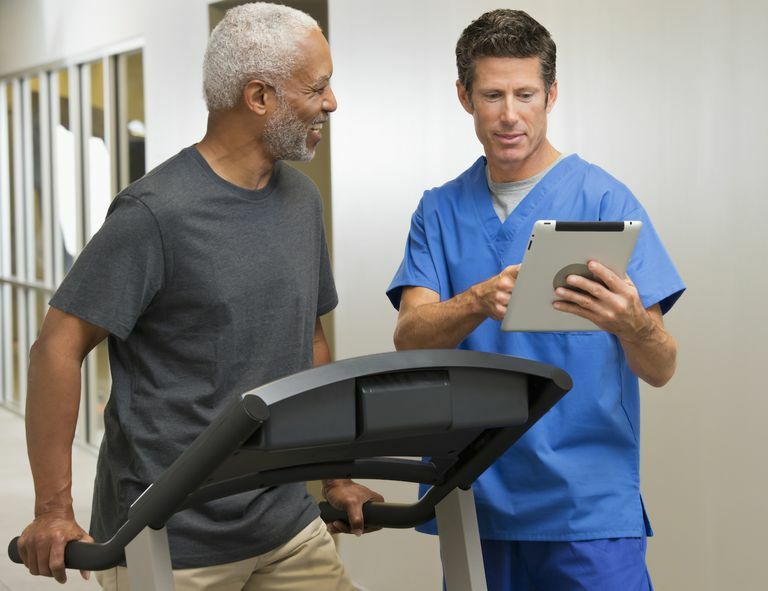 One of the most significant reasons to conduct a six-minute walk test is for measuring the response to medical intervention in a patient with moderate to severe heart or lung disease. On the day of the test, be sure to dress in comfortable clothing, particularly shoes designed for walking. Use walking aids if you normally need them, such as a cane or walker. Eat a light meal before early morning or afternoon tests, but avoid vigorous exercise within two hours before the test. During the six-minute walk test, you will be permitted to slow down, stop and rest as needed. You can lean against the wall when you're resting but should remain standing. If you do stop to rest, keep in mind the timer will not stop when you do and you should start up again when you are ready. Your technician will be watching you carefully, periodically reporting how many minutes have elapsed. Advise your technician of any concerns, both before and during the test. Most six-minute walk tests will be done twice: once before and once after therapeutic intervention. One of the goals of medical intervention for COPD is for you to be able to walk further during the second test. While the six-minute walk test is a useful tool for measuring functional capacity of many people, the test should be performed with proper medical supervision.